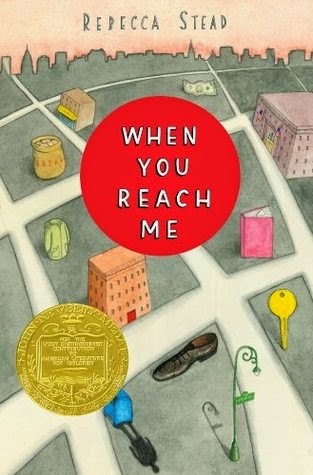 Reading When You Reach Me was a pleasant surprise. Not one I would normally have chosen to read, though having seen it recommended by Goodreads in the Magical Realism section (complete with rave 4+ star reviews) I was confident that I'd enjoy a good story at least! I was very impressed with this book, not least because the plot twists in unexpected ways and turned my assumptions on their head! From the very first chapter I was gripped: the potential for story development was exciting, and I empathize with the voice of this awkward, realistic girl whose inner thoughts reminded me of what it felt like to be that age (all those years ago!). The pace of the book remains steady throughout, pleasingly unrushed through the last few chapters - a mistake I often find writers make when trying to tie all of those loose ends together. Of course, I would love to know what happened afterwards, though I consider that to be the mark of a great book, one which makes you wonder and want more. When You Reach Me by Rebecca Stead is available from Amazon and al good retailers.